GET AHEAD! provides you with a set of tools to design your path to technical freedom on the trombone to develop your artistry and musical identity. 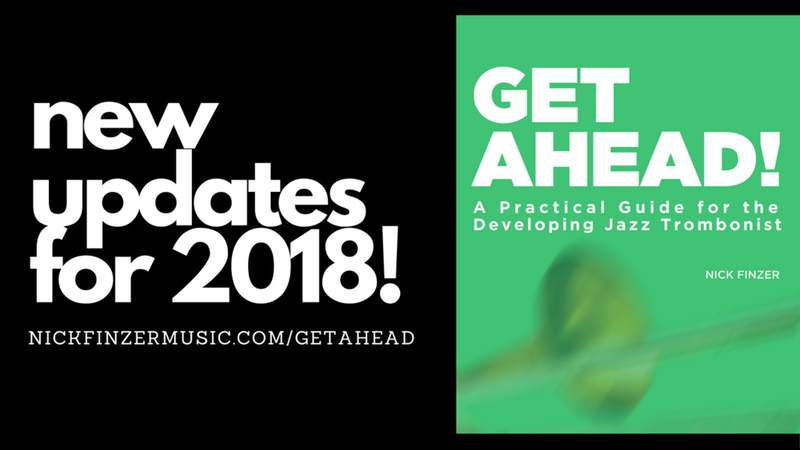 Inside you will find ideas, concepts and practical examples to aid you in your journey as a developing jazz trombonist. I hope that these ideas will foster inspiration for you to improve each day. Concepts include: Sound Development, Jazz Vocabulary, Tune Learning, Improvising, and more! 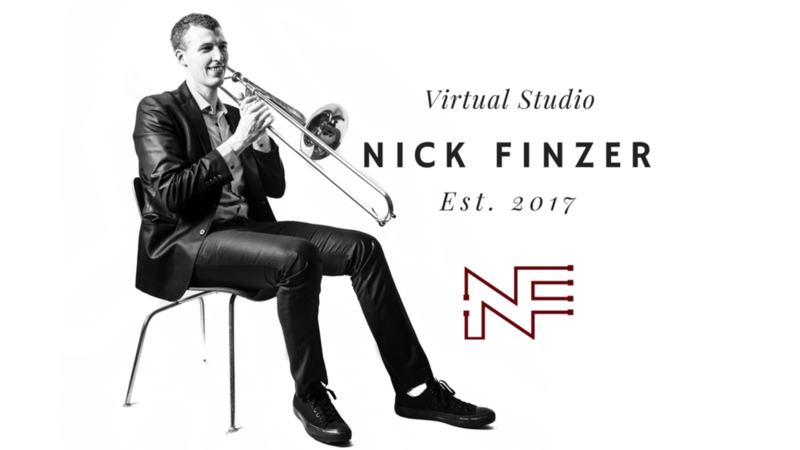 "As a 17-year old jazz trombonist about to enter music school, Nick Finzer wrote this book for people just like me, and I am really benefiting from it. I found that the personal sound concept worksheet is giving me a new found focus when I work on my fundamentals, and the section on scale patterns is giving me a lot to work on. Most importantly, he has sections on goal setting and structuring practice sessions; although these may seem to be the least relevant parts of the book, I've found that they are the most valuable. My only complaint is that I wish that the section on piano playing was longer, but he does a good job with what he covers. I know a lot of high school trombone players whose teachers only focus on classical playing, and this book would be a huge help to them. In fact, I would say that this book is almost like the jazz version of Kleinhammer's "The Art of Trombone Playing" in that all the long sections of text make it seem like you're taking a lesson with the author. If this book seems interesting or useful, I highly recommend buying it"